Dozens of historic buildings dot Rocky Mountain National Park. Even more can be found in the neighboring communities and adjacent national forests. This is where our historical heritage comes to life. These are reminders of generations past. 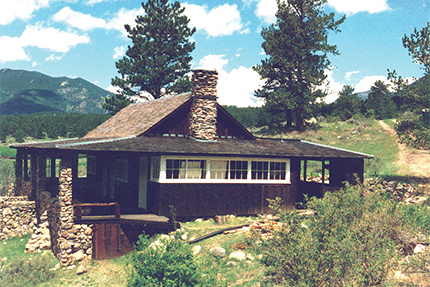 As stewards of history, the Rocky Mountain Conservancy has already restored many significant buildings, including the William Allen White cabins, the Shadow Mountain Fire Lookout, various buildings at the Holzwarth and McGraw Ranches, the famous Wigwam Tearoom and Moraine Park Museum (now visitor center), just to name a few. 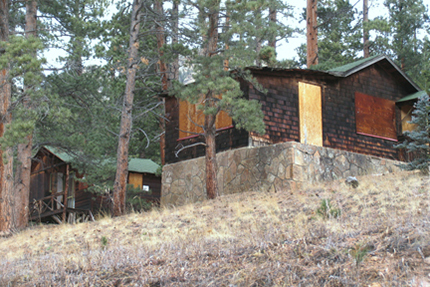 Regularly, the Rocky Mountain Conservancy and RMNP select special structures in need of help. Only through the hands-on strategies of repair, restoration and adaptive use will these buildings be saved and their important history conveyed to coming generations. The historic William Allen White cabin sits in Moraine Park with an amazing view of this glacial valley. The Rocky Mountain Conservancy raised funds to stabilize and restore this historic site for adaptive use by the National Park Service. Anna Wolfram's historic tearoom, known as the Wigwam Tearoom, was a popular social spot in the early 1900s. The main tearoom and homestead buildings are being stabilized and considered for future adaptive use by the National Park Service. 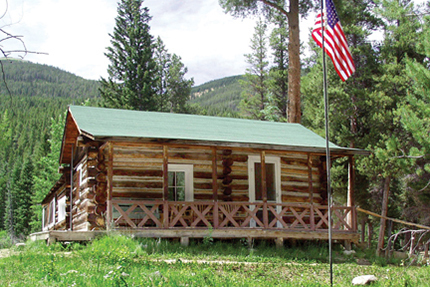 The restored Mama Cabin is one of many buildings that make up the Holzwarth Trout Lodge Historic site. This collection of buildings is now used by the park to engage visitors in the history of the scenic Kawuneeche Valley.